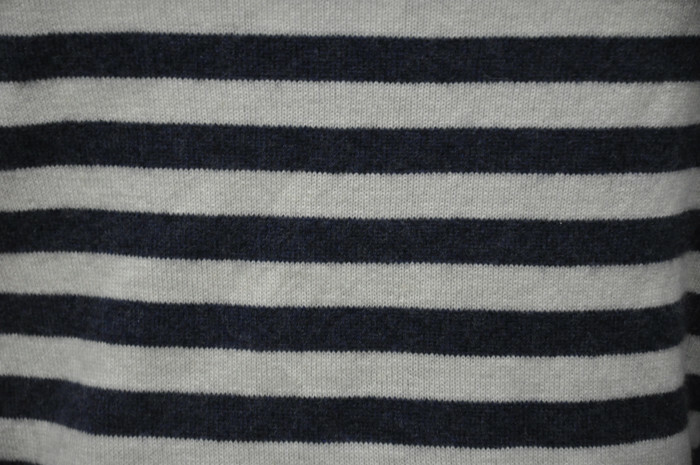 One of our proud shapes—with super-soft pure cashmere. 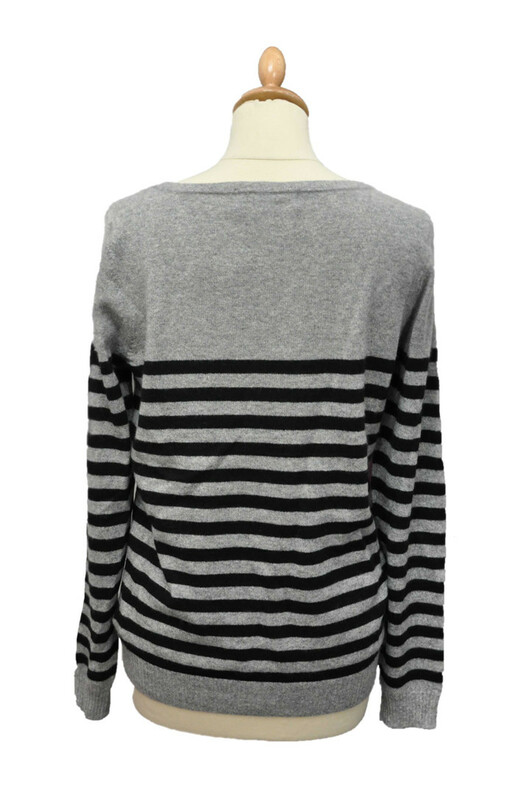 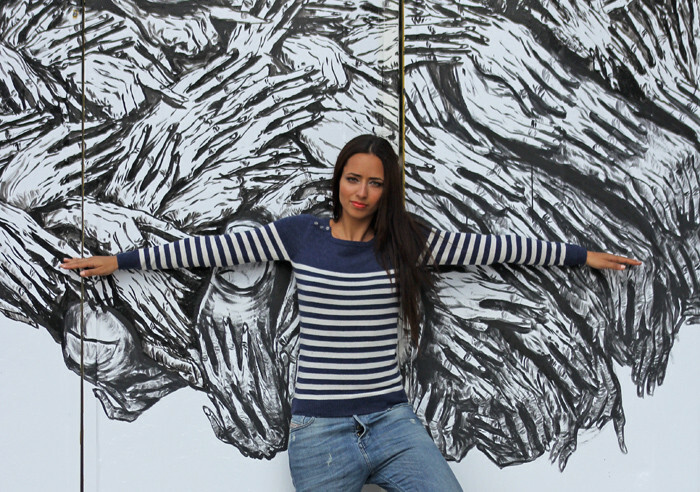 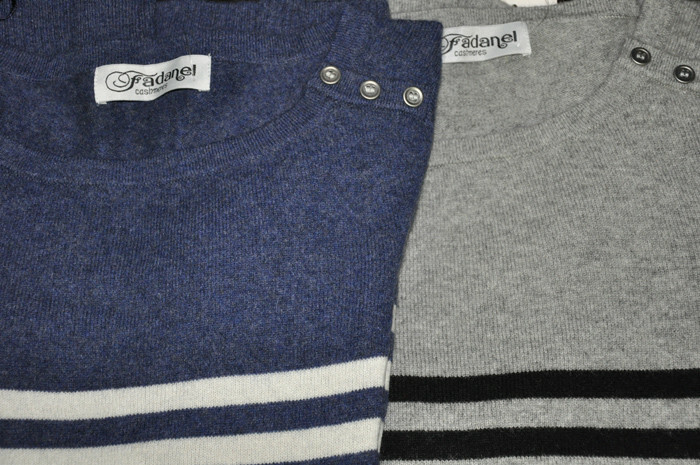 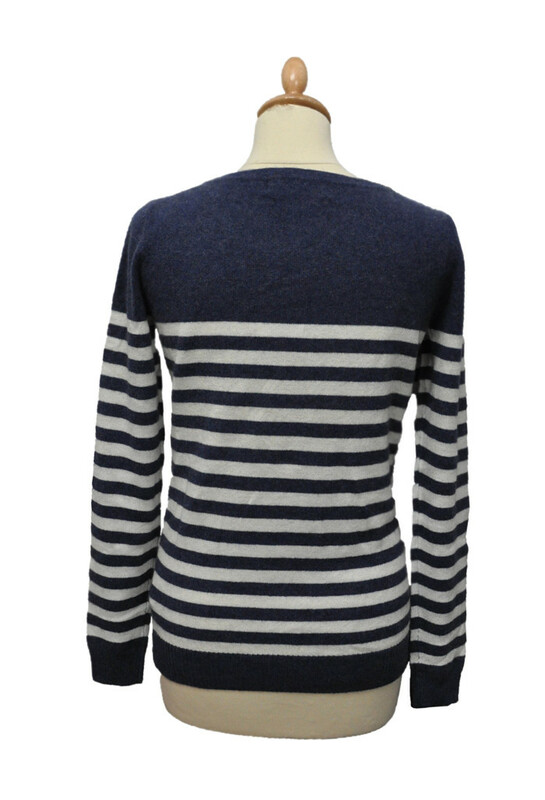 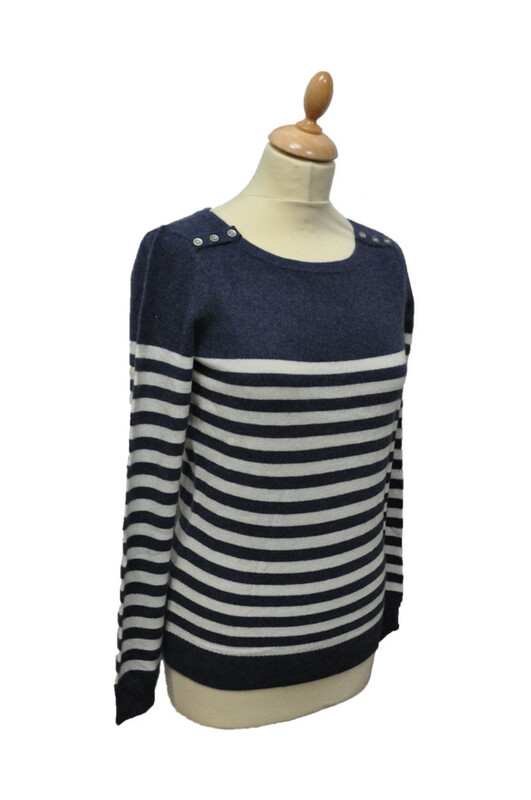 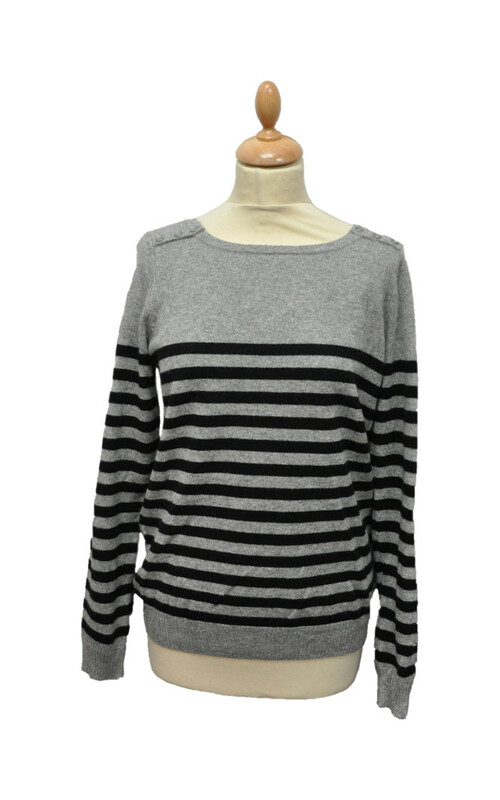 This striated sweater is slightly fit for a relaxed look. 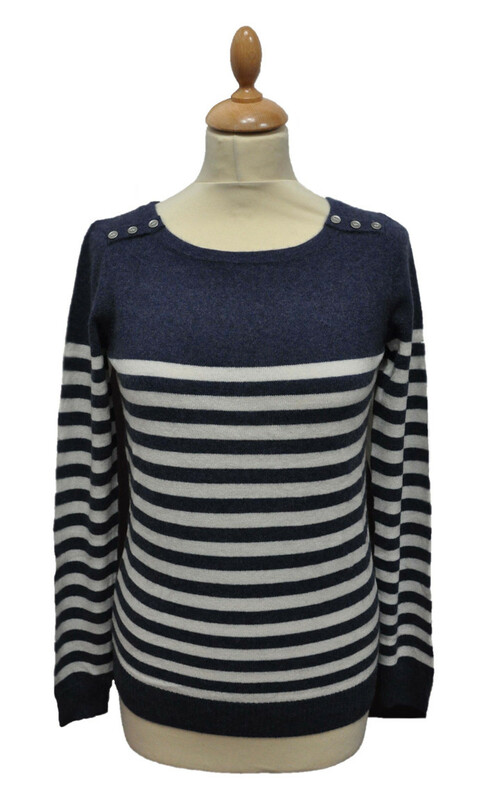 What's more, a delicate design with several buttons on the side of shouder, makes it got that perfect, slightly cropped length and goes well with everything—from mid-rise jeans to high-waisted trousers.